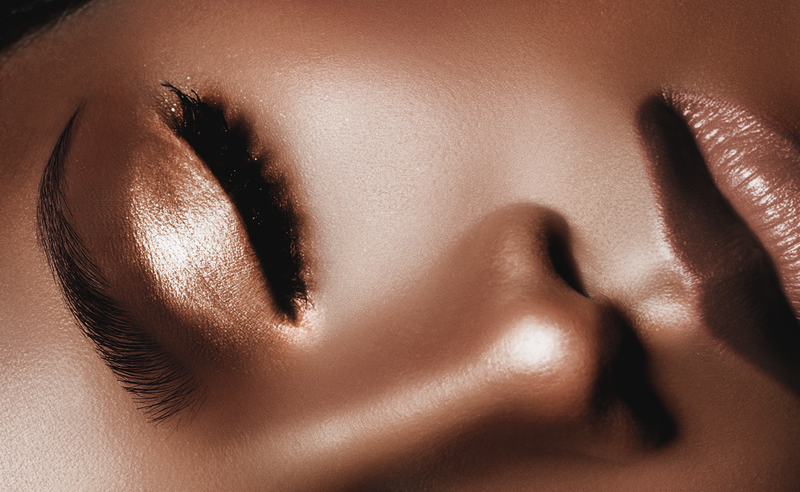 Short Answer: The best innovation in beauty, since foundation & concealers! Long answer: Eyebrow Microblading is the meticulous artistry of constructing or reconstructing the perfect pair of eyebrows with the use of a special, pen-like instrument containing fine needles that are three times thinner than regular tattoo needles. This instrument is used to gently deposit a special pigment into the basal layer of the epidermis, to create crisp, hyperrealistic, hair-like strokes that are virtually indistinguishable from real hair and is a semi-permanent solution. Shape & size of the eyebrows are determined based on the mathematical assessment of each unique face. With the use of these precise individual measurements, you can achieve symmetry; a process designed to help each person achieve their best face. This mathematical process is called "The Golden Ratio," also known as "The Golden Mean," or "Devine Proportions"; this is a numerical ratio of the sum of two parts that actually equal the larger of two quantities. This ratio equals 1.618; interestingly, this number has been discovered and rediscovered many times throughout history, hence its many names. These calculations have also been used throughout history by great philosophers, scientists, masters of art & mathematic geniuses such as: Leonardo da Vinci, Plato and Pythagoras, etc. This ratio is considered to be architecturally & artistically, the most beautiful in nature. Unlike eyebrow tattooing, with Microblading, there is never any “spilling” of ink under the skin, so your brows remain beautifully in tact and only require annual touch ups. 2How long does the procedure take? With Zoe's special technique, the entire process can take as little as 20-45 minutes, depending on skin type and any grooming preparation you require, or if there is any corrective work being done. However, please plan to stay for up to two hours for paper work, care instructions and a consultation, etc. 4How long is the recovery time? 5Will they fade & how long do they last? As this is a semi-permanent solution, they do fade over time, however, how quickly they fade varies depending on each person's skin type, lifestyle and environment. The results can last up to a year before requiring any touch up, but will depend on the regular skin lifecycle of your skin, as well as other varying factors, such as lifestyle, daily sun exposure, skin type and skin care routine. As this is a semipermanent procedure, a touch up is recommended at least once per year to retain the shape & crisp appearance of the deposited pigments. 6How do you choose a shape? WE choose a shape together, according to your face structure and your personal preference. At Mint Brows, every client's eyebrows are tailored specifically to their unique face, ensuring not only symmetry, but also their most flattering brows ever. We find that all of our clients share one thing in common, the desire to wake up everyday with amazing brows! The Mint Brow promise is to give every client the eyebrows of their dreams and so we work with you to achieve your desired shape & thickness even if it falls slightly outside of our professional recommendation. There is no "pick-a-brow chart" to stress over because brow shapes are determined based on the science of achieving your most beautiful face. 7Can I have this procedure done while I’m pregnant? 8What is the difference between eyebrow tattooing and eyebrow microblading? The first and most important difference is that the results of Microblading are far more natural than that of tattooing. Unlike tattooing, the Microblading procedure does not involve the use of a machine, rather, it is performed using a special pen-like instrument containing fine needles that are three times thinner than that of a regular tattoo needle. Tattoos become green after a while, Microblading does not. With the use of the special pen like instrument used to perform Microblading, pigments are gently deposited into the basal layer of the epidermis, resulting in crisp, hyperrealistic, hair-like strokes that are virtually indistinguishable from real hair. Unlike eyebrow tattoo, with Microblading, there is never any “spilling” of ink under the skin, so your brows remain beautifully in tact and only require annual touch ups! Lastly, there is far more pain involved in tattooing than there is in Microblading, which easily makes Microblading the smarter/better choice. 9Will I still have to keep up with waxing, tweezing, threading, etc? 10Am I a candidate for microblading?